Tag Archives for " Events "
Sausalito, California has a fair amount of events that have a large impact on the whole city. Some, of those events, correspond with other national or federal events while others are only held on a local level, and they happen only in this town. We can’t list all events because we like to add some info about each of them and thus we will mention few more notable things that happen in Sausalito. Sausalito Film Series is a festival that starts on August 7, and the location is Cavallo Point Resort which is also one of the sponsors of the event. Tickets cost only 25 dollars per person, and anyone that buys a ticket can attend a screening of a lot of new movies. Other sponsors and supporters of the Sausalito Film Series include Ro-co films, Remember to Forget, Stella Artois and much more. The Sausalito Art Festival is a three-day event that happens during Labor Day weekend and it the largest outdoor art festival in the country. The event allows both professionals and amateurs, as well as kids, to show off their artistic skills and there are also venues that sell various forms of art. Various musicians also perform at this event which is another reason to visit it. Ticket price varies, and you can pay 100 dollars per day to have a front-row seat at the main stage. Other tickets are cheaper, and you have a general ticket for 50, senior for 20 and junior for 5 dollars per day. Halloween is celebrated on a large-scale in many cities in the USA as well as in the world. Sausalito also has a large celebration on the Halloween Eve, and it involves several events. The most recognized and the most popular events are the Trick and Treat Lane and Dog Costume Contest. Other activities are added or removed as the year’s pass. Sausalito, like many other American cities, celebrates 4th of July with fireworks. The celebration also includes a parade as well as picnic which are things that only a few other cities do. If you want fun, then come to Sausalito and experience something new. Many people head off on their holidays or for short weekends, without first looking into how they are going to get from A to B when they arrive at their chosen location. I myself was guilty of this when I visited Sausalito the first few times. Now of course, if you intend to drive your own car about, this is not a concern for you. But if you are just “winging it” to see how things are once you’ve arrived, my guide to getting about Sausalito and the Bay area will be of help to you. For me at least, cycling is chief among transport methods for getting around Sausalito (and in general), as you can travel at your own pace, and can really take the time to soak in all the magnificent views that this wonderful place has on offer. There are several bike hire companies in Sausalito, and can cater to your needs, be it mountain biking or something more suited to road use. For some, the only way to get about is via car – you have all the benefits of in car entertainment, air conditioning, and the ability to come and go as you please. Admittedly, Sausalito has little in the way of car hire, but further up the road in San Francisco or Marin City, there are plenty of options. Many people arriving to Sausalito will have arranged their car hire at the airport on the way in anyhow, so this is rarely an issue. Sausalito is extremely well catered to, public transport wise. Whether it is the BART railway system or one of the many busses traveling in all directions, you will have plenty of choice. You even have the option of taking a Ferry, if you fancy a trip to San Francisco, and just do not want to travel over via the Golden Gate Bridge. The Ferry trip is quick and inexpensive, and is an experience all of its own. I suppose this could be considered the most traditional of all transportation methods, and it’s certainly the cheapest! Joking aside, if you wish to walk around Sausalito, this is certainly a viable option. Everything you need is generally within reach, or a pretty short walk away. Of course, it may take you a little longer to get to where you need to go, but you will be surrounded by breath taking views the entire time. I’d say that is a pretty even trade! It is even possible to walk across the Golden Gate Bridge, should you choose to – many people do every single hour! Whatever method you choose to get around, just make sure to take your time. Slow down, and drink in all of your surroundings in Sausalito – this is truly an amazing place. Take it from me; I’ve seen many sights on my journeys, but its here that I keep coming back to. Sausalito rivals the best places in the world for views! Looking For the Perfect Fishing Spot in California? Sausalito is where it’s at! It is now the time of year where those who like to fish, for sport, pleasure or a combination of both, start to take their fishing poles and tackle boxes out of storage, and head for the water. There is no other activity quite like fishing when it comes to relaxing environment and the thrill of the catch. If you are looking for a perfect fishing spot in California this year, or maybe are planning a holiday with some fishing activities included, you can not go far wrong by considering Sausalito. If you are hoping to cast a line in this area, there are some things you will need to know before hand. I’m here to help you understand what you need! First off all, if you intend to fish anywhere in the state of California, you will need a fishing license – this is mandatory. You can pick up a license in pretty much any sports store or online. If you feel like you may return to Sausalito at some stage during the year, a 1 year license is a worthy investment, costing a little less than $46 for the whole year. You can look forward to a huge range of species in this area, from massive rays, to leopard sharks. Perch, Salmon, Striped Bass and Halibut are commonly reeled in also. So, regardless of if it is a huge fight you are after, or just some fish for the BBQ after your day, you can find it all at the end of your line in Sausalito. If you intend on eating some of your catch, beware of signs in the area. It is recommended that you don’t consume fish caught in the Bay area often, due to high levels of mercury and PCBs. Signage erected in the area will advise of what is safe to eat and what you should avoid, based on their chemical levels. If you are not bringing your own fishing gear with you, unfortunately, you may have to head a little ways outside the city to hire gear for a trip out fishing. There are several fantastic places in nearby San Rafael however. It really depends on what it is you want to catch. Baits that are commonly used in the area include worms, shrimp, sardines and anchovies. If you wish, live bait can be purchased in San Rafael and in San Francisco, for just a few bucks. Where is the Best Spot? Fort Baker has long been considered the best fishing spot in all of Sausalito. You can fish right off the pier and can look forward to huge fish and excellent conditions throughout. My tip – grab some squid and try for some leopard shark – just be prepared for one hell of a fight on the end of your line! That is of course, if a Ray doesn’t get to it first! When people are thinking of places to go for their holidays away, many of the usual places immediately pop to mind. And if they are looking to holiday in the US, those places are usually Florida, New York or California. Well, if California is on your holiday radar, you should not overlook Sausalito as your destination of choice. Located in the much sought out San Francisco Bay area, a mere 8 miles from San Rafael, Sausalito has everything you could ever want from a holiday destination. The average temperature here is roughly 12 degrees Celsius (about 57 degrees Fahrenheit), so it is rarely cold here. Being located in California, one of the sunniest States in America, you are virtually guaranteed good weather, and plenty of rejuvenating sunshine. The hottest months are May to October, but even in December and January, it can still get quite balmy, though the likelihood of rain increases in these months. Sausalito is a smallish city, with a population of roughly 7,100 inhabitants. 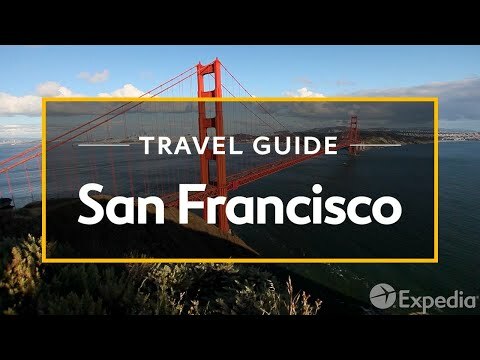 And although it does have a steady stream of visitors arriving via the Golden Gate Bridge (Sausalito is located at the North end), both by bicycle and on foot, there is nowhere near the amount of people mass you will find in the bigger, better known tourist locations. Sausalito is genuinely a hidden jewel for this reason, and it means no more massive queues for food, drinks, attractions and entertainment. Speaking of attractions, Sausalito has many to offer, and is one of the reasons why this is one of my favourite places in all of the US. Being located virtually beside the Golden Gate Bridge, famous all over the world, and depicted in uncountable movies and TV shows, means that you too can take tours, cycle across and generally take in all that this amazing piece of architecture has to offer. Sausalito has many waterfront restaurants to dine in, quaint boutiques for shopping, in a relaxing “village” style environment and much more. If parks are your thing, then you simply must visit Plaza Vina del Mar Fountain & park, an oasis of calm in the centre of the city. There is also Fort Baker National Park, overlooked by the Golden Gate Bridge, complete with Bay Area Discovery Museum – this one is great for all the family, with exhibits specially created for children. Given its location, Sausalito is in close proximity to tons of interesting places. You can arrange to take day trips to such places as Mount Tamalpais State Park, with its 50 miles of hiking trails, and featuring breath taking mountain scenery. Or, roughly 5km away, the Richardson Bay Audubon Centre & Sanctuary is a great day out for all the family, with its open water environments and guided walks, where you can learn about birds native to California. If visiting here, don’t miss out on Lyford House – this one is amazing! Leave the regular world behind when you step into the fog-swathed “City by the Bay.” From shopping adventures in Union Square to a trip on the city’s legendary cable cars, a trip to San Francisco is bound to leave you with incredible memories. Many people ask, “How much will it cost to road trip California?" 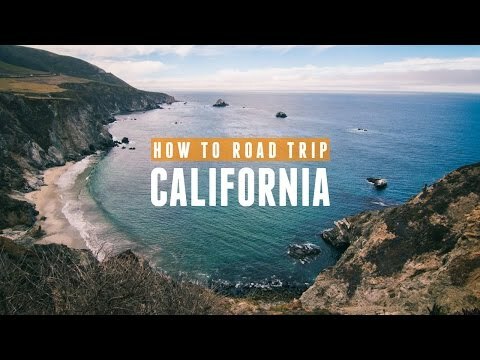 “What are the best places in California to visit?” and “Where is the best food?". The answers to those questions depend on a lot of different factors. California has so much to offer. Copyright text 2019 by The Trident Sausalito.